According to Vallarta Daily with information from the Associated Press, Mexico is taking U.S. President Donald Trump’s threats to leave the North American Free Trade Agreement more seriously as a second round of talks opened Friday Sept. 1 in Mexico City on renegotiating the 1994 trade pact. 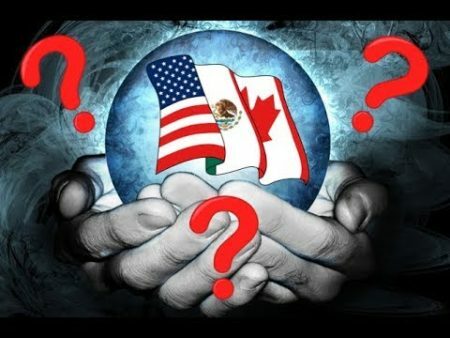 In the aftermath of Trump’s tweet last Sunday saying that Mexico and Canada are “both being very difficult, may have to terminate,” Mexico now says it is developing a “Plan B” in case Trump withdraws from the trade pact. Guajardo said key sticking points include U.S. demands to modify NAFTA’s dispute resolution process and tighten labor standards. In comments to Mexico’s Senate, he said that about 15 of the 25 negotiating groups have run into differences after the first round of talks started on Aug. 16 in Washington. “There are 10 working groups where we are starting to see difficulties … the chapter on labor issues, electronic commerce, franchises,” Guajardo said in comments to Mexico’s Senate this week. One significant clash is over NAFTA’s method of resolving disputes. The current agreement allows binational panels of private experts to decide differences, making it harder for one nation to unilaterally impose tariffs on another. The United States wants to eliminate those panels, but Canada and Mexico fear that would allow the U.S. to throw its greater weight around. U.S. negotiators also want to tighten enforcement of labor standards, which are currently covered in a largely toothless NAFTA side agreement. A key draw for foreign assembly plants and investment has been Mexico’s low wages. While average manufacturing wages in China had risen to $3.60 per hour by 2016, Mexico’s had shrunk to $2.10, a level some economists say is artificially low. With many workers unable to afford the vehicles Mexico produces, the country exports about three times as many cars as are purchased domestically. Most of those exports go to the United States. “The US wishes to codify international labor rights norms — such as the right to collective bargaining and minimum wages — into the NAFTA agreement itself. This could, in theory, limit Mexico’s ability to exploit its lax labor laws, low trade union representation, and lower wages that together give it an export advantage in manufacturing sectors like autos,” according to a report by BMI Research. For to read the full article in Vallarta Daily click here.